Wahoo, it’s Friday! A long weekend for most of us and start of a new month! Hello September and Fall! Any fun plans for the weekend? Labor day weekend feels like the end of Summer which means It’s that time of year that my life will revolve around football. Tom’s game on Friday nights then college and NFL on the weekends. We watch it all and I’m definitely not complaining. Now it’s the end of the week which means it’s time for me to share all the food, fitness, and other favorites I’ve been loving this week. 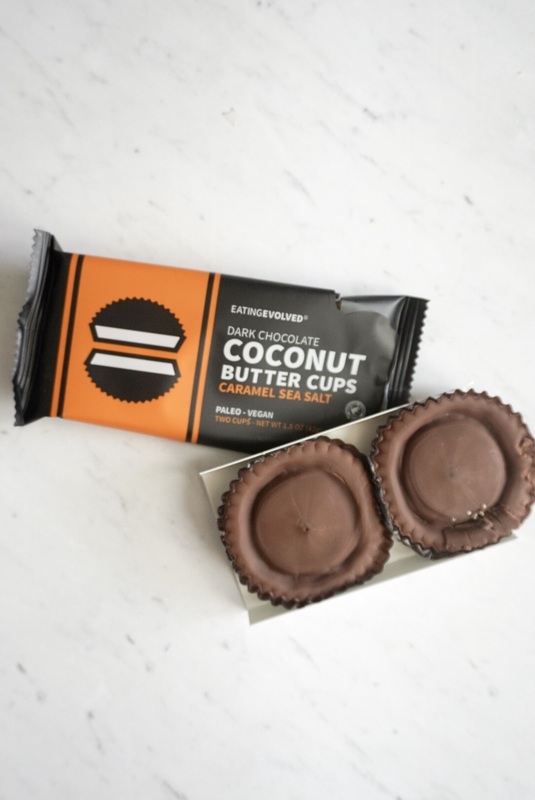 I picked up these Eating Evolved Dark Chocolate Caramel Cups while in Mom’s Organic Market last week. They are a bit pricy, but I loved that they had real ingredients, cocoa, cane sugar, coco butter, coconut, and sea salt. They were the perfect amount of sweetness. I ate both of them on Wednesday for a healthy mid week treat. And I really want to try the other flavors. This is my fourth Rocksbox set, you can view my previous sets here, here and here. 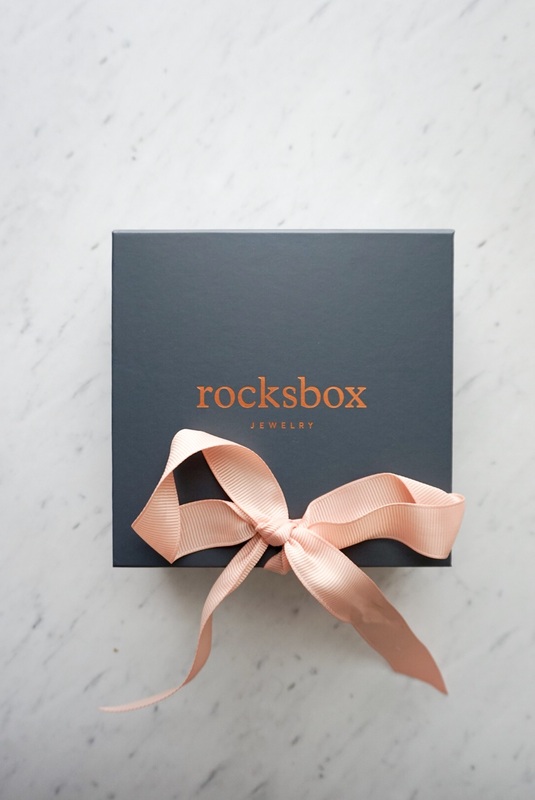 Rocksbox is a designer jewelry membership program. 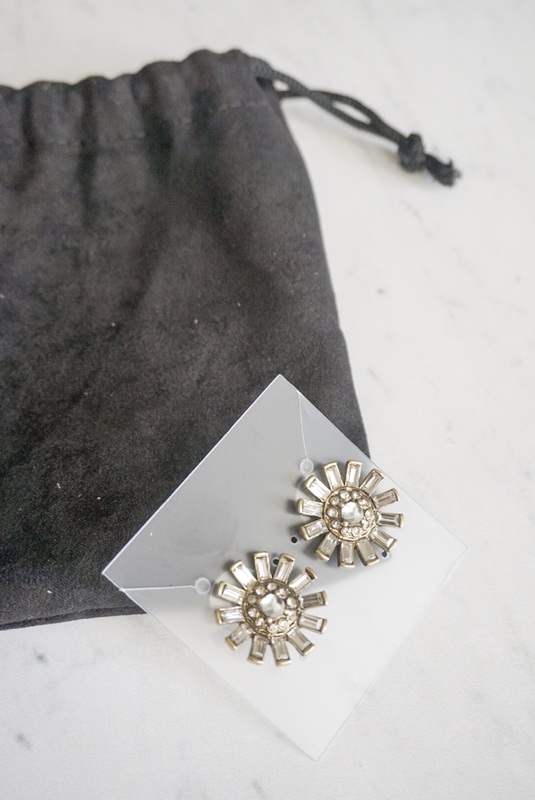 You get three hand selected jewelry pieces from over 30 designers delivered to your door based off items on your wish list. You can keep the pieces for as long as you want. When you’re ready to change them out you just return the box to receive a new set. You could also choose to purchase a piece and the monthly membership fee is applied as a credit each month. It reminds me a lot of “Rent The Runway”, but for jewelry. I truly think having a new jewelry piece completely transforms an outfit. If you’d like to try a FREE month of Rocksbox use my code: sweetandstrongblogxoxo at checkout. It also makes a great gift if you have any friends or family birthdays coming up. 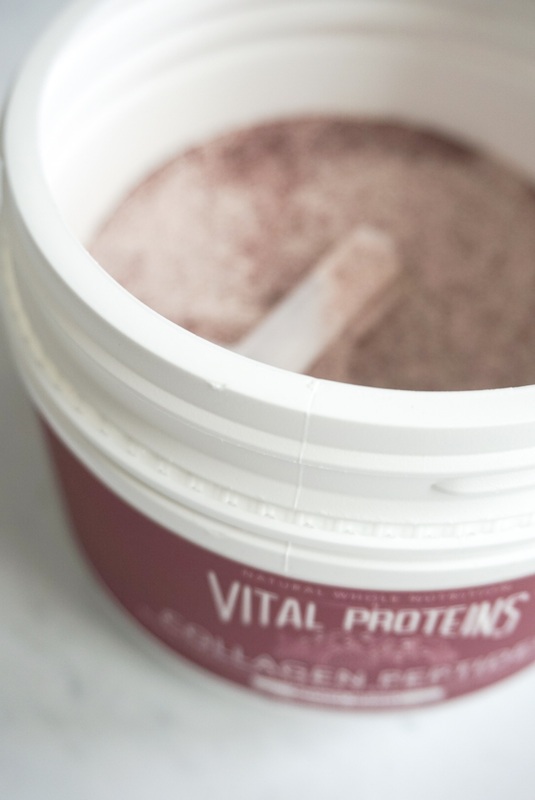 I recently received one of Vital Proteins new products, the Mixed Berry Collagen Peptides. I know some people prefer adding the regular Collagen to their morning coffee because you can’t even taste it, but I enjoy using the flavored peptides or Beauty Greens in my post workout smoothies. I am LOVING the mixed berry. My favorite smoothie combo has been, Mixed Berry Collagen Peptides, almond milk, almond butter, strawberries and half a banana. Can’t wait to try it in a few more recipes. So obsessed with this song lately! I’m obsessed with my Takeya bottle and am giving one away to a lucky reader. Find out all the details on how to enter here. It keeps beverages hot or cold for hours. I want to order an even larger one and a tumbler too, the colors are also super cute. Hearing about all the generous people and celebrities donating to those affected by Hurricane Harvey. There are so many organizations, just curious on how you are choosing to donate/help?!? I knew there was a good reason I eat oatmeal everyday during the school year. Tell me something you’ve been loving lately. Did you donate to help those affected by Hurricane Harvey? I’ve never had a chocolate dessert I didn’t like, even if it’s a healthier one! Those little chocolate cups sound tasty 🙂 And love those earrings! One thing I’m loving this week is the cooler weather! But also, sad. Because I love summer! haha. It has been SO cool this week, so weird for our area this time of year. Enjoy the weather Sunday and Monday as it’s supposed to hopefully clear up. Happy Weekend! Happy Friday, lady! Yay for football season! I’ve only tried the vanilla flavor peptides, so would definitely be interested in the berry too. I put collagen in my morning tea usually, so berry would be strange — hahaha! 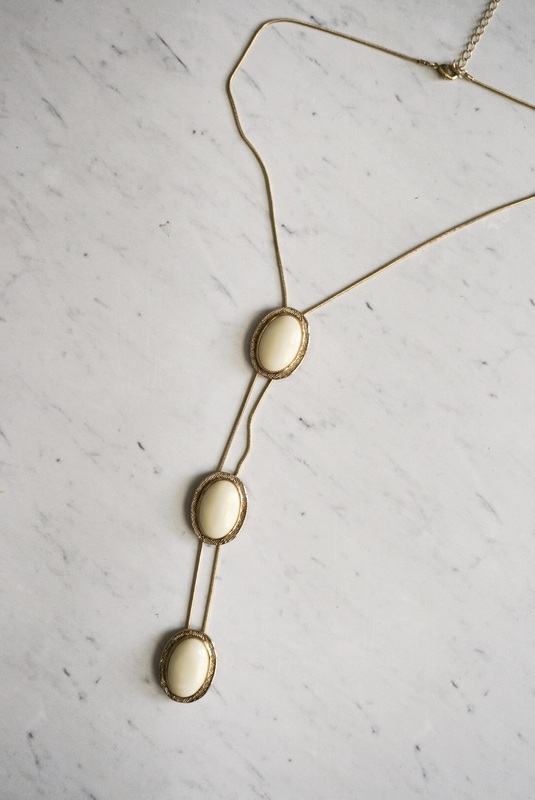 As far as your jewelry — SO cute! I love Kendra Scott stuff. Enjoy your weekend! The berry has been my favorite in smoothies, but yea I added vanilla to my coffee, but any other flavor would be weird. 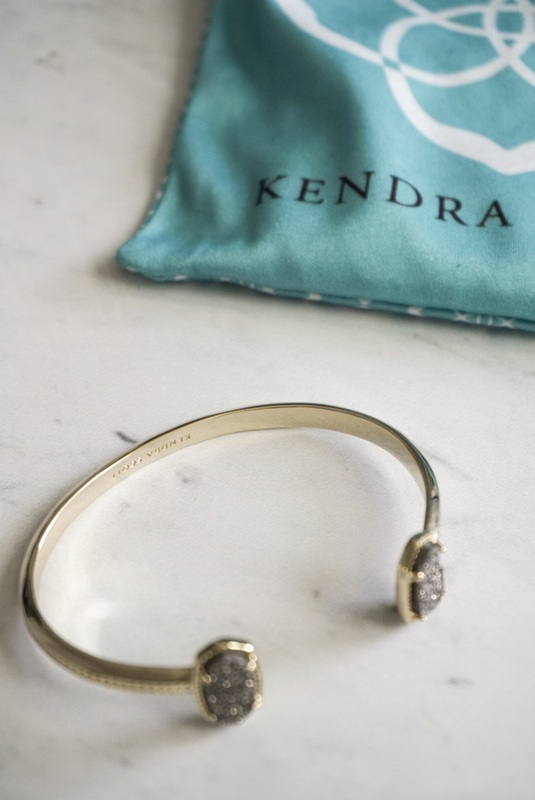 And yes the Kendra Scott jewelry from Rocksbox is by far my favorite. Been loving that bracelet! All those pieces of jewelry are so pretty! I didn’t like that Praying song at first but the more I hear it the more I like it. Thanks for linking up with us! 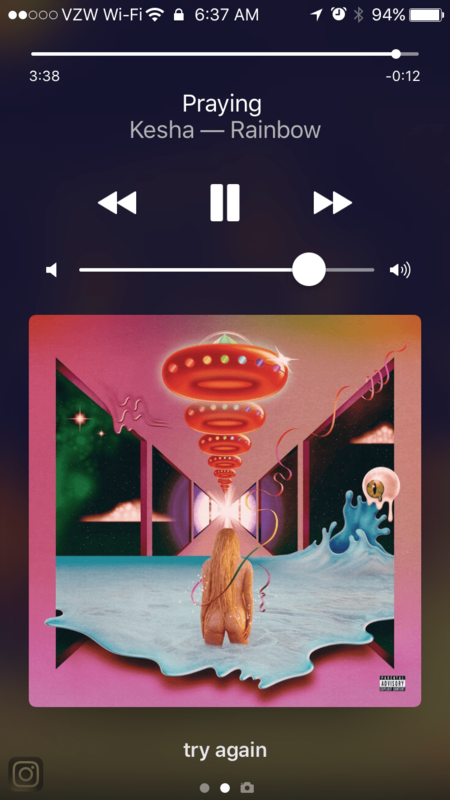 I hand idea Kesha has such pipes, that’s part of the reason I started loving the song. Happy Weekend! LOVE Football season and ALL things Fall! Happy Weekend Amanda! I want to try EATING EVOLVED CHOCOLATE so much! The price is holding me back. I haven’t heard of this Takeya Bottle! Yea it’s definitely a bit pricer than I usually spend on chocolate, but worth the occasional splurge. Those chocolate cups look delicious, I will have to keep an eye out for them. Hope you had a great weekend! Yes they can be found in most health food stores or bought online. I definitely suggest trying them.